Have you ever found yourself needing to speed up apache or mysql? Here’s a quick writeup on some very useful tools when you first setup Apache and MySQL. These will help you optimize and build out the absolute best configuration for your webserver. When you see [ !! ] this indicates that there is an issue and suggests something to be changed. lsbwprompt Switch to a plain prompt. lscolorprompt Switch to a fancy colorized prompt. lsbigfiles List the top 50 files based on disk usage. lshighio Reports stats on processes in an uninterruptable sleep state. lsmyengines List MySQL tables and their storage engine. lsmyusers List MySQL users and grants. lsmycopy Copies an existing database to a new database. lsap Show a virtual host listing. 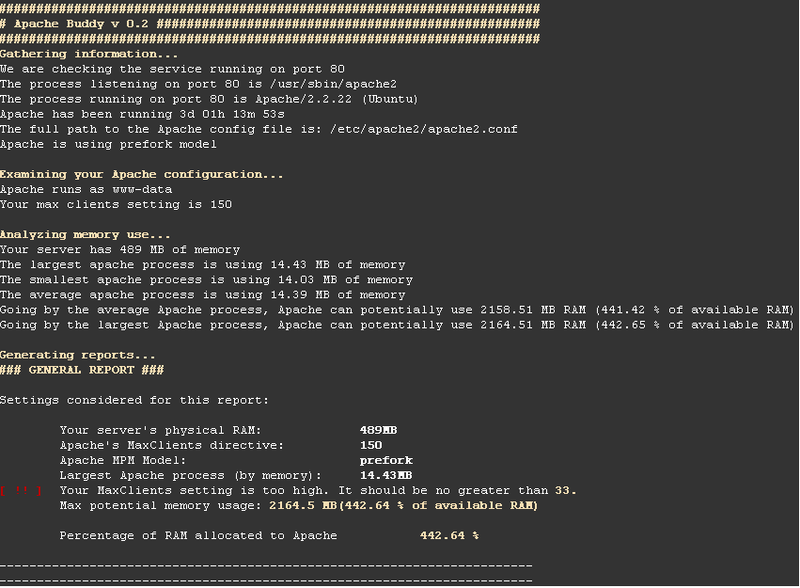 lsapcheck Verify apache max client settings and memory usage. lsrpaf Install mod_rpaf to set correct client IP behind a proxy. lswhatis Output the script that would be run with a specific command. Developed by Rackspace, there is many great tools to use. Provides a combination of command outputs including: uptime, free, vmstat, iostat, df, as well as some information derived from the ‘top’ command including the top 10 cpu% using processes and the top 10 memory% using processes. You can setup recap to run on a scheduled basis using cron. This is a great tool when it comes to troubleshooting servers at various points in time. Using this correctly, you can easily get an idea of what was going on on your server at a given time.